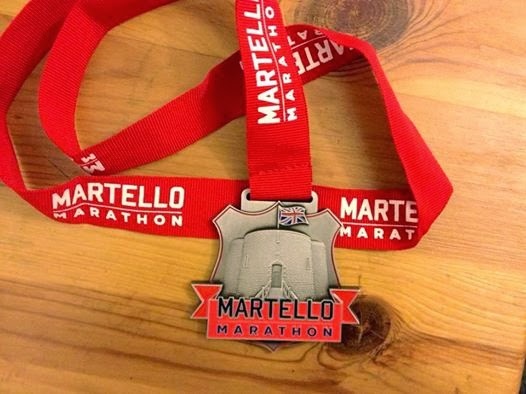 On Wednesday I saw a Facebook message about there being spare places in this weekend's double marathon, The Martello, which is a new race, organised by running legend Traviss Wilcox and his family, who put on the ever-awesome Saxon Shore marathon. I knew lots of friends were due to run, and had originally wanted to take part, but both days had sold out so I jumped at the chance to take one of the spare places. 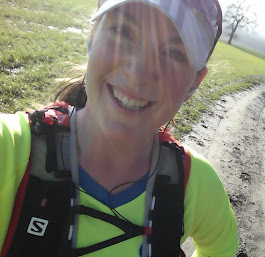 I picked Saturday's marathon, as the weather was due to be nicer on the Sunday, and knew I would use the weather on Saturday as an excuse to sit on the sofa all day if I didn't have somewhere to be! "Marathon #42 - done, along the seawall in Folkestone. It was epic and brutal and I'm proud of my sub 5 hour run when 13 miles of it was into headwinds of 30/40/50+mph which made standing up a challenge at times, never mind running. The rain storms didn't help & at one point it was like armageddon when the sky darkened with the wind, the rain, the hail and the sand was being blown around so strongly I could barely see and had to hold onto a bench for peace of mind. However, at other times, the sky was blue, the sun shone, the sea was spectacular, and the wind was at my back blowing me along, and all day, there were lots of friends there to share the experience with, which made it a brilliant, if insane, day out at the seaside "
However, despite all of the challenges, I'm so glad that I chose the Saturday rather than the Sunday to run. I know that yesterday's marathon will go down as a special one, and I'm proud to be able to say, yes, I was there, and I finished. Well done Naomi!! Definitely sounds a tough one! !